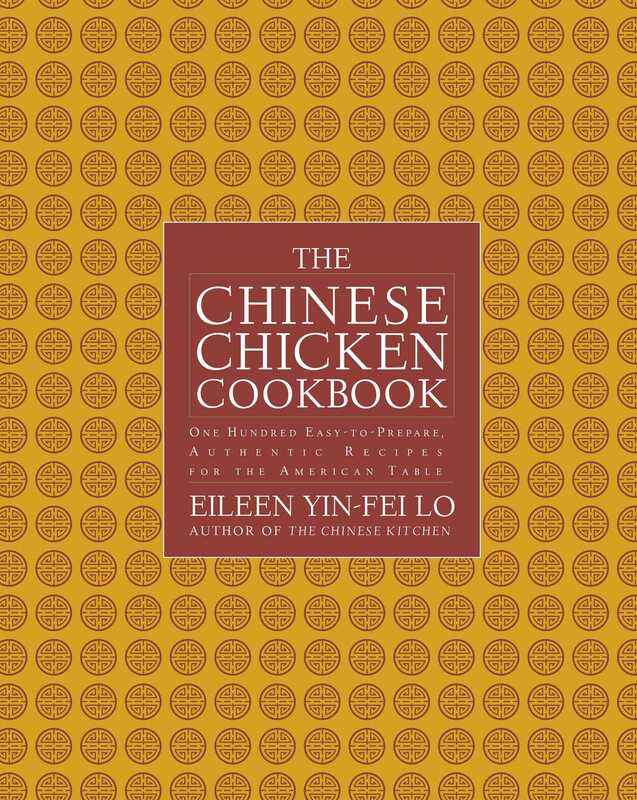 Renowned Chinese cooking expert and IACP Award–winning author, Eileen Yin-Fei Lo, who has been called "the Marcella Hazan of Chinese cooking," brings American home cooks more than 100 recipes for the versatile chicken, from simple stir-fries to celebration dishes. In China the chicken represents the phoenix, the mythological bird that rose from its ashes and that symbolizes rebirth and reaffirmation. Because of this deeply held belief, chicken is served at every New Year celebration, every wedding feast, and every birthday dinner. The chicken is honored for its eggs, its meat, and the flavor it provides for stocks and broths. Because of the reverence for this bird, the Chinese prepare chicken in myriad ways. Chicken is steamed, baked, boiled, stir-fried, deep-fried, pan-fried, and roasted. It is served hot, cold, or at room temperature. No part of the chicken is wasted from its bones to its skin to its feet, a Chinese delicacy. Now, renowned Chinese cooking expert Eileen Yin-Fei Lo, who has been called "the Marcella Hazan of Chinese cooking" by The New York Times,brings her love of Chinese cooking and traditional Chinese chicken recipes to American home cooks in The Chinese Chicken Cookbook. The Chinese Chicken Cookbook brings together more than one hundred of the best traditional and modern chicken recipes of China from simple stir-fries to more elaborate celebration dishes. In chapters that pair chicken with noodles and rice and in chapters on soup, preparing chicken in the wok, and cooking it whole, readers will find dozens of delicious, easy-to-prepare delicacies. Recipes such as Two-Sesame Chicken, Hot and Sour Soup, Ginger Noodles with Chicken, Chicken Water Dumplings, Chicken Stir-Fried with Broccoli, Mu Shu Chicken with Bok Bang, Mah-Jongg Chicken, and Asparagus Wrapped in Minced Chicken offer new and flavorful ways to prepare chicken whether you're making a quick weeknight meal or having dinner guests on a Saturday night. Although these recipes use ingredients that home chefs can find in the international section of a well-stocked supermarket or on the Internet, Lo includes the Chinese names for ingredients and recipes, rendered in beautiful Chinese calligraphic characters. Not only decorative, these characters can help you locate unfamiliar ingredients in a Chinese market. The Chinese Chicken Cookbook also has sections on how to select and clean a chicken, a detailed explanation of Chinese ingredients, suggested equipment (including how to properly season a wok), and how to cook a perfect pot of rice. With wonderful family stories from the author's childhood in China, The Chinese Chicken Cookbook is not just a cookbook for your cookbook library, it is a source of culinary inspiration. Eileen Yin-Fei Lo, renowned cooking teacher, chef, and Chinese cooking authority, has been called the "Cantonese Julia Child" as well as the "Marcella Hazan of Chinese cooking." She has been written up in publications such as The New York Times, the Los Angeles Times, Saveur, Gourmet, Food & Wine, and FoodArts among others and has been a guest on NPR's Fresh Air with Terry Gross. She has appeared many times on radio and on network television and the Food Network. In addition, her writing was included in Best Food Writing of 2000. 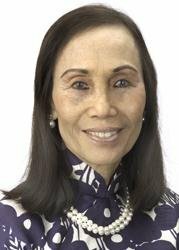 With her unparalleled knowledge of Chinese cuisine and ingredients, Lo has taught for twenty years and continues to teach and work as a restaurant consultant for clients such as Shun Lee and Ruby Foo's. She was presented with Lifetime Achievement awards at the International Festival of Food and Wine and La Celebration Culinaire Internationale. She is a member of Les Dames d'Escoffier. This is her ninth cookbook. She lives with her husband in New Jersey.